Discussion in 'Other Pokémon Manga' started by May, Sep 12, 2014. A prologue to two new Pokémon manga titled Pokémon: Omega Ruby Kurenai-ki Jōnetsu (Crimson Passion) and Pokémon: Alpha Sapphire Ai-ki Eichi (Indigo Wisdom) will be included in the October issue of Coro Coro Comics and start in the issue of November (released on October 15, 2014). 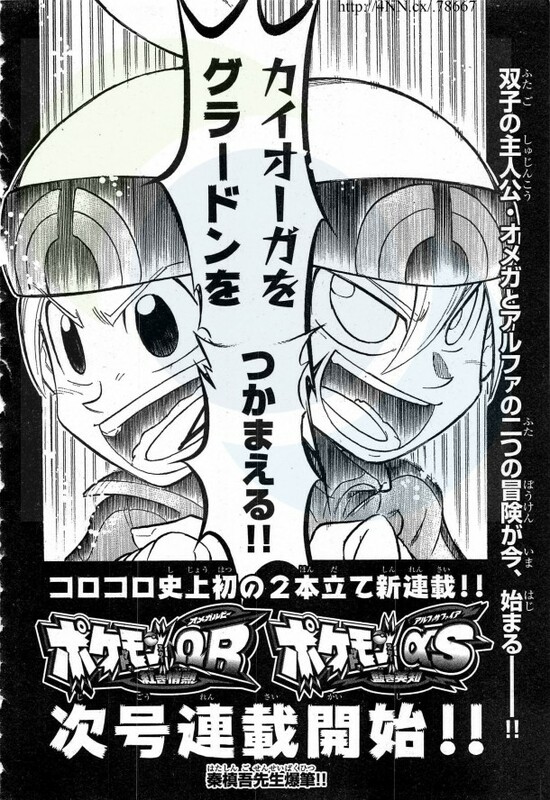 This will be the first time that two related series have run side-by-side in Coro Coro Comics. The manga, by Shingo Hata, will follow the story of two brothers named Omega and Alpha. The two will try to capture Groudon and Kyogre.